Bequeathed by Lionel Ernest Bussey. 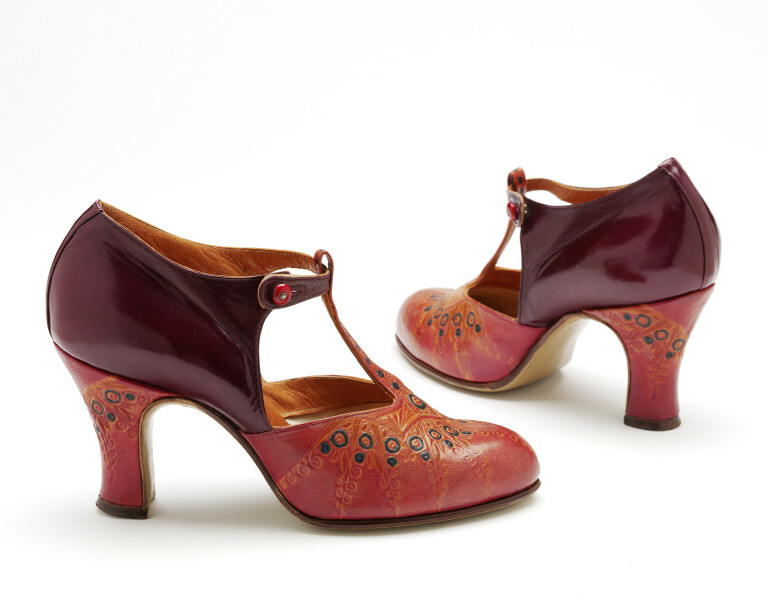 Pair of ladies' shoes made form maroon calf leather with heel and toe of pink leather, with a beige and blue stamped design of stylised chevrons. The shoe is lined with leather, with a canvas lined toe. Stamped inside the upper is '1779-28' and on the beige stained sole 'MADE IN FRANCE'. 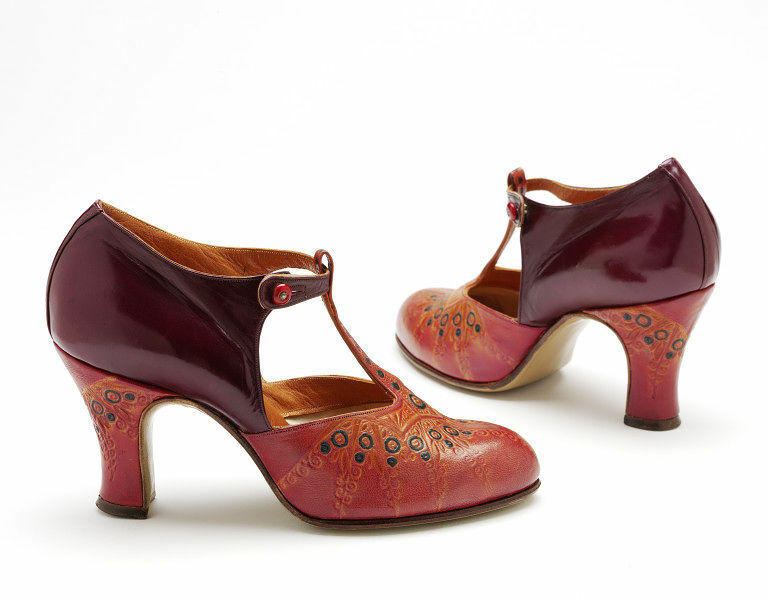 These shoes form part of the Lionel Ernest Bussey collection acquired in 1970 following his death on 5th December 1969. 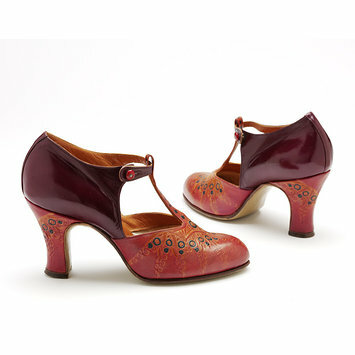 Pair of ladies' leather shoes, probably French, ca. 1927.